Today, http://www.CPRTrainingFast.com announced that they will begin venturing into medical marijuana education and medical marijuana certifications for healthcare providers. They have launched medical marijuana education materials on their website, http://www.CPRTrainingFast.com, and the Amazon Kindle Marketplace. Two eBooks were launched. Named Medical Marijuana: Basic Cannabinoid Certification Study Guide and Medical Marijuana: Advanced Cannabinoid Certification Study Guide, these two study guides best prepare medical professionals for the clinical usage of cannabis, an expanding medical practice. As cannabis is being legalized nationwide for clinical and medical purposes, http://www.CPRTrainingFast.com is committed to ensuring that their healthcare provider clients are capable of properly using medical marijuana and helping patients. These two new guides accompany the BCLS certification and ACLS online certification that the site already offers. The website also includes free algorithms and practice tests, as well as answers to the ACLS pretest. 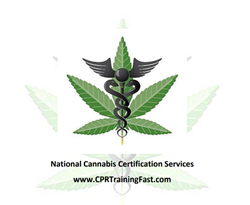 Offering medical marijuana education is an exciting new step for CPRTrainingFast and they intend to further explore the ever-changing medical world so that their clients are up to date and are prepared to offer the best care possible. Medical marijuana has numerous applications in a clinical setting, including being safer than opioids for pain management, easing anxiety, and treating a variety of other symptoms. Further research into medical use of marijuana will only benefit the public and clients of CPRTrainingFast will be the first to have the skills necessary to apply new discoveries.